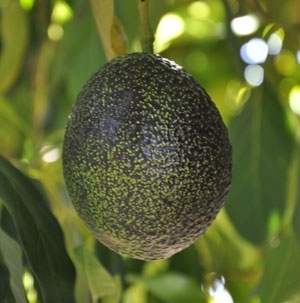 At a recent grower meeting at South Coast Research and Extension Center in Irvine, Carol Lovatt gave a talk on the use of gibberellic acid to increase avocado fruit set and yield. The registration for the use only occurred this spring, barely in time for growers to use it, so not many applied it. Then we had this heat wave in July and a lot of fruit, whether it had been treated or not, fell off. A show of hands was asked of the growers present, who had applied it this spring. Of the 100 people or so in attendance, only five raised their hands. Of course, this is not a scientific survey, but most would try it again this coming spring, even though they might not have seen results this year. ProGibb LV PlusR. On March 27, 2018, gibberellic acid (GA3) was approved for use on avocado to increase fruit size and yield. The only material registered for this purpose is ProGibb LV PlusR, a low volatile organic compound (LVOC) formulation, manufactured by Valent BioSciences, Corporation (Libertyville, IL). Only this product may be used; the older formulation sold under the name ProGibbR and other generic GA3 products cannot be used. Note: (i)the restricted entry interval is only 4 hours; (ii) the preharvest interval is 0 days; and (iii) ProGibb LV PlusÒ can be used in certified organic orchards. Application Time. 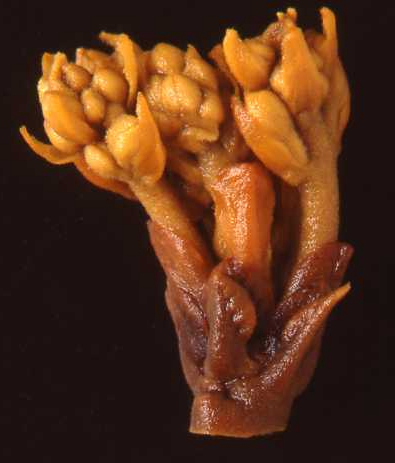 ProGibb LV PlusR is applied as a foliar spray at the cauliflower stage of avocado inflorescence development. The applications should be made when 50% of the trees in the block have 50% of their bloom at the cauliflower stage. This means that 25% of the bloom will be at an earlier stage of inflorescence development and 25% will be approaching bloom (open flowers). If you are unable to make the application at this time, being slightly late in applying the treatment affords better efficacy than being too early. Note: applications made at full bloom are typically not effective. ProGibb LV PlusR Dose and Dilution Rate. The sprays should be applied like a pesticide spray to give full canopy coverage, especially of the developing inflorescences, but not sprayed to run-off. For ground application, use 12.5 fluid ounces of ProGibb LV PlusR (25 grams active ingredient [g ai]) in 100 gallons of water/acre. For aerial (helicopter) application, use 12.5 fluid ounces (25 g ai) in 75 gallons of water /acre. The maximum allowable dose is 25 g GA3 (active ingredient)/acre. Note: the results of our research documented that lower and higher doses are less effective. Spray Solution pH. The final pH of the spray solution in our research was between pH 5.5 to 6.0. ProGibb LV PlusR is stable at pH 4.0 to 8.5. The pH of the water used should be adjusted accordingly. Note: prolonged exposure of GA3 to a pH > 8.5 should be avoided to prevent breakdown of the material. Additional Information on Spray Volume. In our research, for ground applications, we used the same amount of GA3 (25 g ai/acre) but a spray volume of 200 to 250 gallons of water/acre, depending on tree size, to achieve good coverage without causing the material to run-off the tree and with minimum spray volume left in the tank after application. Use of spray volumes greater than label rate of 100 gallons of water/acre for ground application is the decision of the Agricultural Commissioner for each county. Consult with your County Agricultural Commissioner, if you wish to apply ProGibb LV PlusR (25 g ai) in more than 100 gallons of water/acre as a ground spray. For the aerial (helicopter) application, the greatest efficacy was achieved with ProGibb LV PlusR (12.5 fluid ounces, 25 g ai) in 75 gallons of water/ acre. Wetting Agent. In our research, we used the organosilicone surfactant Silwett L-77R or Widespread MaxR (Loveland Industries, Greely, CO) at a final concentration of 0.05%. Similar pure organosilicone type surfactants are acceptable. Photo: Cauliflower stage inflorescence. Source: Salazar-García et al., 1998.